This is well thought-out-elevation and plan of a beautiful kerala house. Contemporary style has been given to the elevation with stone cladding. The interior of the house has a living area, dining area, kitchen and four bedrooms. The front door opens to a large hall and the living and dining areas are arranged on its side. The bedrooms are display a luxurious appearance. Gypsum ceiling and warm tone lighting are setup in most of the rooms. There are one car porch in front of the house. 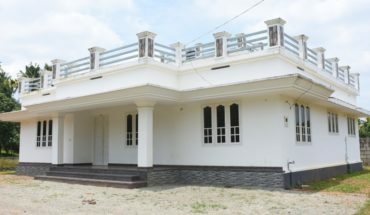 The house also has home theater, Upper living, balcony, two common bathrooms in each floor and a store room near the kitchen. There are 2 bedrooms, with attached bathroom, a common toilet, a living space and a balcony on the first floor. 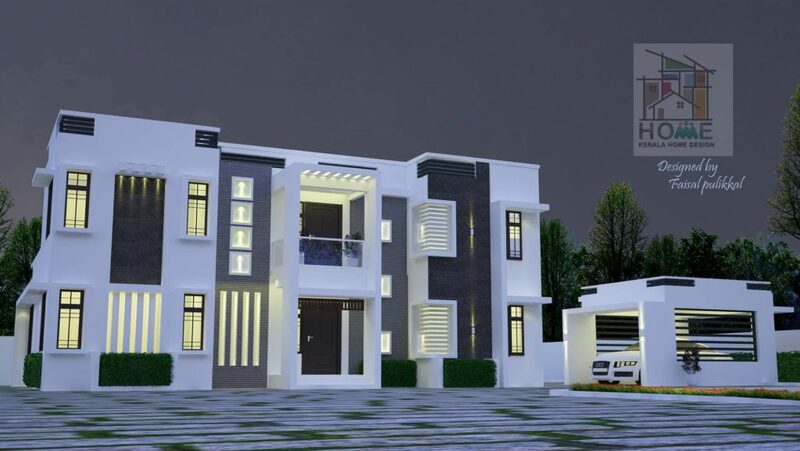 This double floor contemporary home plan designed to be built in 3200 square feet and designed by Faisal Pulikkal. The entire front window adorns all the rooms, providing the residents a bright ambiance and a beautiful view. This design is curated with current trends that will never fade and never make you bore. 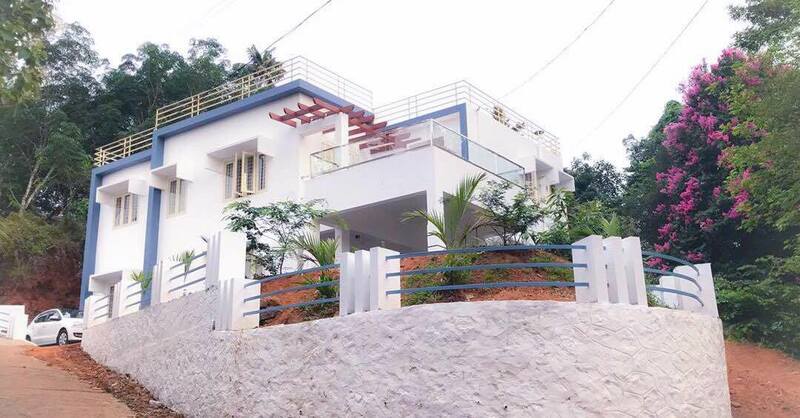 In the mean time, the simple glass railings of the balcony come as a surprise in a house like this. However, it could be an effort of the architect to prevent the house from being over decorated. 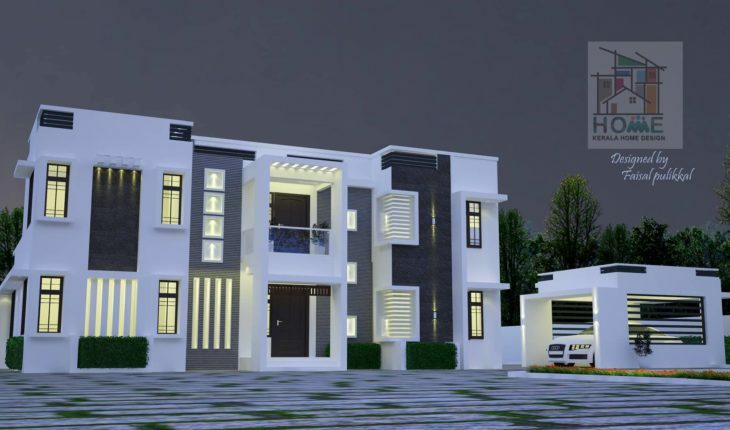 A beautiful facade is the depiction of the architects creative vision and desire to impress others with an out-of-the-ordinary appearance.